Chad is a landlocked country in north-central Africa. The well-known Sahara Desert crosses through its central region, where the temperature reaches sweltering levels. Despite the country development during recent years, it still suffers with violent political disputes and frequent overthrows of government, which cause great instability and insecurity. The majority of the population lives below poverty level, without access to the most basic needs, such as water and electricity. In the midst of the poverty and necessities, which remain unknown to a great part of the world, the Universal Church made it a point to take the Word of God to these people that are in need of help. It is no news that what drives the Universal Church’s work is the pleasure of winning souls for the Kingdom of God. With lots of love, pastors, assistants and evangelists give their lives without holding back in order to fulfill this precious mission. However, in a country with such hot temperatures and no infrastructure, something extra is needed to speak of God. “Each place is very far, and for us to get to where the people are, we need to face the desert. If we go walking, we can burn our feet because the intense heat makes the sand extremely hot. So we use camels as a means of transport. 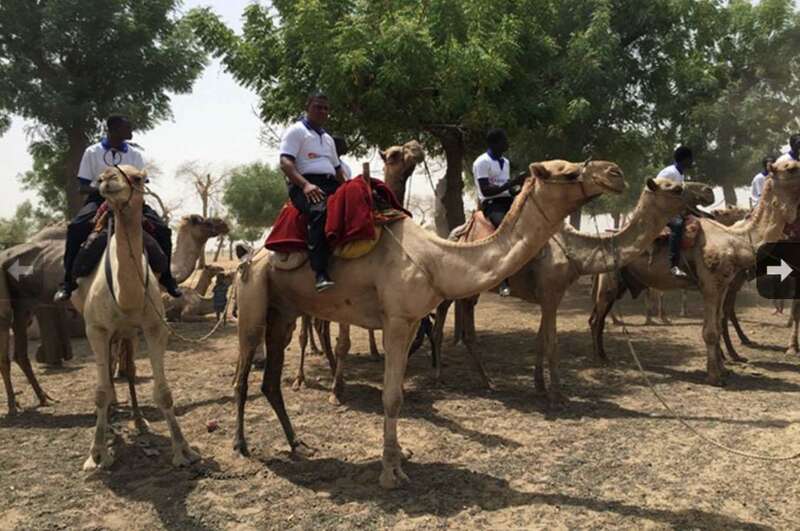 Here, evangelism is done on camels,” explains pastor Robson de Oliveira, who has lived in Chad for the past two years and is responsible for the work of the Universal Church in the country. When the evangelism volunteers arrive in the villages, people think they’re just another group of travellers passing through. However, they have no idea the opportunity for the Salvation of their souls is coming on camel, with a group from the Universal Church. The pastor, who renounced his life along with his wife, Marcia, to serve God 19 years ago, did not see the challenge of using camels to evangelize as “different”. He affirms that he has gone through far more critical moments when he evangelized in Ivory Coast, an African country that was in constant civil war. There, they spent days without being able to leave their home because of the gunshots that would come from all places. Gunshots would even cross through the walls of the Church during meetings. In Chad, more than 70% of the population is Muslim, which makes evangelizing quite difficult, because most people don’t even accept to hear the name of Jesus. “Yes, we have difficulties, but we also have great joy when a person accepts the Lord Jesus and their life is transformed. Every sacrifice is worth it when this happens, and this is what we have seen. This is why we do everything possible to win souls. We ride camels; we find a way to make things happen. Not even the desert stops us,” emphasizes pastor Robson.